OpenCart Multiple Wishlists: OpenCart Multiple wishlists module provides an easy way for customers to create separate wishlists. The customers can create as many as wishlists of their favorite products. 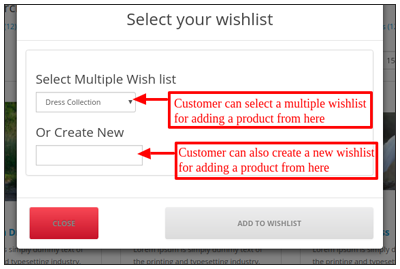 All created wishlists are organized in defined sections and customers can easily switch between them. 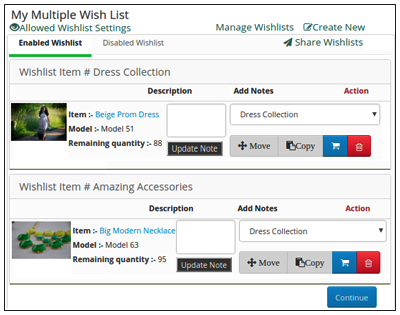 The customers can move or copy products from one wishlist to another wishlist. Once the customers have created the wishlist, they can share it with their friends and family by email. The admin can set the number of wishlists a customer can create. The admin can also decide the number of products a customer can add in a wishlist. The admin can set the number of wishlists a customer can create. The admin can also set the number of products that a customer can add to a wishlist. A customer can create as many as wishlists of their favorite products. A customer can move or copy the products from one wishlist to another wishlist. Can Enable or disable and even delete a wishlist. The customers can share the wishlists with their friends or family members through email. A customer can add a product from the category as well as a product page. Add the products from wishlist to cart. Remove the products from the wishlist as per requirement. 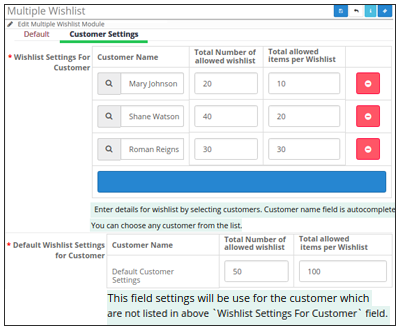 In this module, the admin can select a customer from the list of registered customers to assign the total number of wishlists a customer can create. The admin can also decide the total number of products a customer can add in a particular wishlist. Admin can select any number of registered customers and decide how many wishlists these customers can create. Admin can also decide that how many products can be added in a single wishlist. 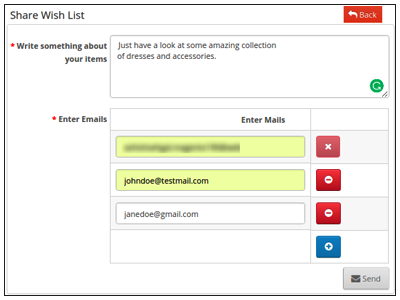 A customer can make a wishlist just by entering a name and clicking add wishlist. After creating a wishlist a customer can add his/her favorite products on that particular wishlist. Creating a wishlist is very easy. A customer can add a product to a wishlist from a category as well as a search page. 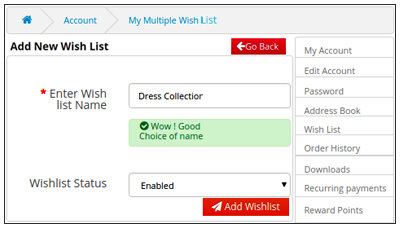 A customer can update a wishlist name, enable or disable it and even delete a wishlist according to his/her requirement. A customer can move or copy a product from one wishlist to another wishlist. A customer can also delete the products from a wishlist. 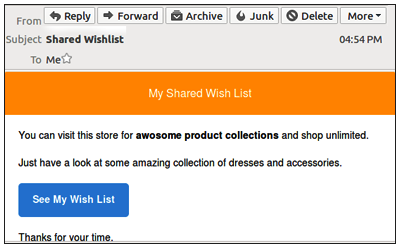 A customer can enable or disable and even delete a wishlist. A customer can share the wishlists with his/her friends and family members through email. A customer can add any number email ids of people with whom he wants to share the wishlist. A customer can also enter the message while sharing wishlists which will be received by the people of whom he has entered email ids. A customer can also remove the email ids of people as per requirement. A person receiving the wishlist will be redirected to the Multiple Wishlist Page after he/she clicks on See My Wish List option in email. Did you buy OpenCart Multiple Wishlists?